Chop onions and tomatoes (if using) roughly. Add the dry chilli and sprinkle oil. Microwave high for 4 to 5 mins. Cool it completly and grind it in blender till smooth. Add water as needed till u reach the desired consistancy. Add oil in pan and add the mustard seeds n curry leaves. Add it to the ground mixture after the mustard seeds splutter. 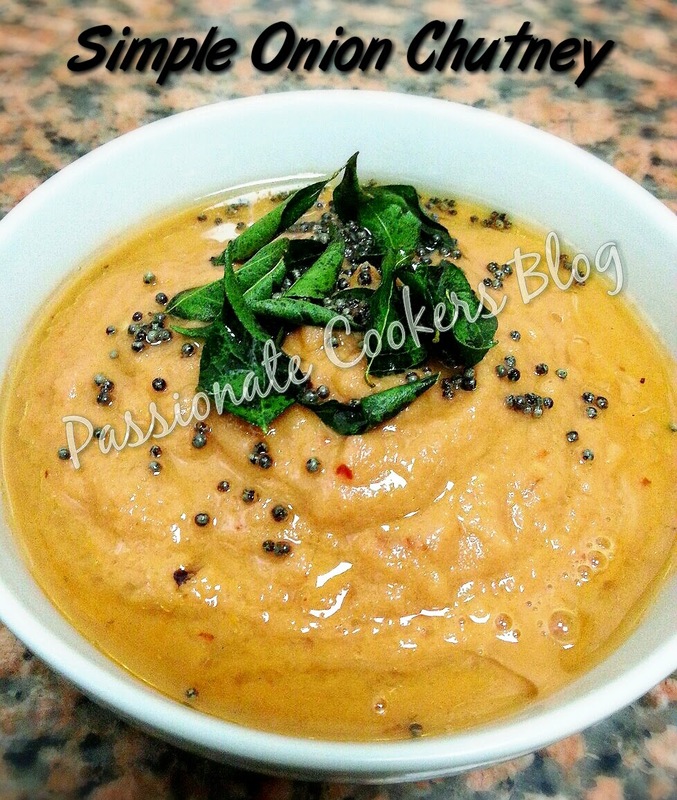 Serve with hot idlies or dosa. This looks easy and tasty. Will surely try this ! !